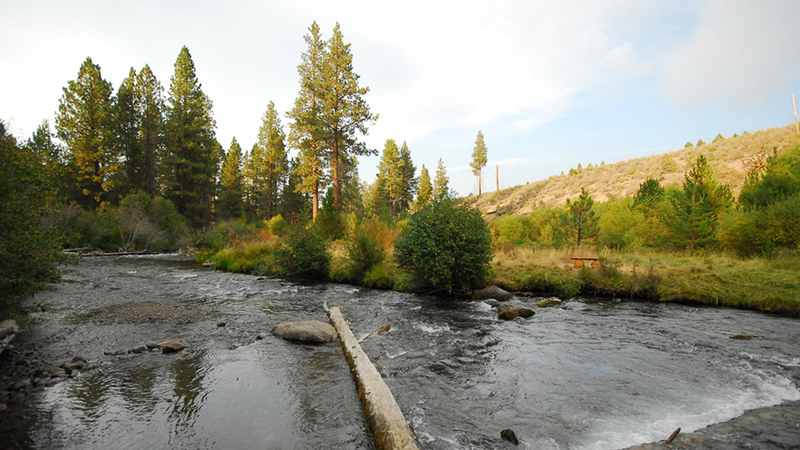 Shevlin Park is a haven located less than three miles from Bend and a perfect location for hiking, jogging, nature watching, fishing, cross country skiing and picnicking. There is an extensive trail and pathway system providing for both summer and winter uses. The park is also the site of Cougar Camp, a popular youth day camp offered by the District in the summer months. Although the nearly 1,000-acre park has a paved road, three developed picnic sites and Aspen Hall within its boundaries, most of the park remains undeveloped. Tumalo Creek rambles through the park with several foot bridges providing opportunities to cross over to the eastern section of the park, the Shevlin Conservation Easement, which added approximately 44 acres to the east side of the park in 2002. The easement features a parking area with a viewpoint and is popular with hikers, joggers and mountain bikers.